Competition – closed. Thank you to everyone for their participation and congrats to Tiyana Van Der Rheede, we hope she enjoys her travels with AccommoDirect. 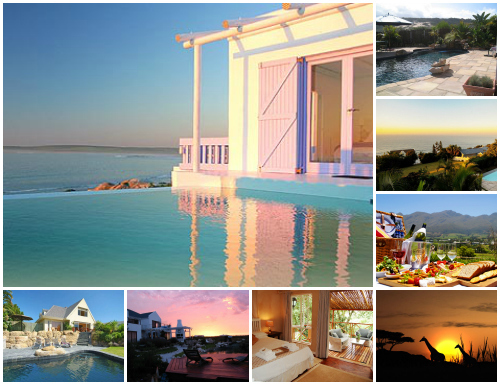 WIN a Summer Holiday valued at R10,000 from AccommoDirect.com!! This giveaway is exclusive for Gumtree readers, and runs until midnight on the 24th of November. The winner will be announced on Nov 25 2016. Simply enter your name and email address below and click submit – good luck! Check out some of the great options available on Accommodation Direct, and let your travel inspiration flow: Cape Town, Hermanus, Knysna, Durban, Umhlanga, Ballito, Bloemfontein, East London, Port Alfred, Drakensberg. Accommodation options include bnb’s, boutique hotels, guest houses, lodges, holiday homes, resorts, self catering units, villas and more! Follow Accommodation Direct on Facebook and/or Twitter for updates. The AccommoDirect.com & Gumtree competition is only open to entrants 18 years and older. The prize can be used toward an accommodation booking made on www.AccommoDirect.com and does not include transport or meals not specified. The information you provide will only be used for the purposes of conducting the current Promotion above, and for future Promotions by The Promoter. You can opt-out from these future email communications at any stage. 1. Your involvement in the AccommoDirect.com & Gumtree competition and/or your acceptance of a prize (in the event that you win a prize) constitutes your binding acceptance of the terms and conditions. 2.2. the spouse, life partner, business partner or associate, or the natural or adopted parent, child, or sibling. 3. Entrants must 18 years of age or older to enter. 4. It is your responsibility to ensure that your entry is received by us prior to the closure of the competition. Any entries which are not received by us prior to the closure of the competition will not be eligible to participate, regardless of the reason for the late entry. We are not responsible for any entries which are not received by us, whether timeously or at all, regardless of the cause thereof. Without limitation, we and our affiliates are not responsible for any problems or technical malfunction of any telephone network or lines, computer on-line systems, servers, or providers, computer hardware or software failure or malfunction, traffic congestion (whether physical, or on the Internet, telephone lines or at any service provider, web site or other device or medium), or any combination thereof, or any other technical or other problems. 5. It is your responsibility to ensure that you have followed the qualifying steps to receive a randomly drawn Prize from AccommoDirect.com. 7. Any costs or expenses which you may incur other than in respect of those items specifically included in a prize are for your own account. AccommoDirect.com will not be responsible for any costs or expenses which you, incur during and for purposes of your entry into the competition and your acceptance and/or use of a prize. 8.4. a prize, or any aspect thereof, will be satisfactory, punctual, free from defects, safe or reliable. 9. We will not be responsible for any harm, damage, loss or claim relating to the provision of any element of a prize or any changes to a prize that may be made at any time. 10. Prizes are not transferable and may not be deferred, changed or exchanged for cash or any other item. 11. You may not win a prize if it is unlawful for us to supply such a prize to you. If you do win such a prize, you will forfeit it. 12. The winners of the prize will be notified via postings on AccommoDirect.com’s Social Media platforms. In the event that you win a prize you agree to the publication of your name and to appear in person in the electronic media and the print media, and you agree, within reason, to endorse, promote or advertise our goods or services, for which no fee will be payable. 12.1 Winners have one month to claim their prize. 13. We may require you to provide us with such additional information as we may reasonably require in order to process and facilitate your acceptance and/or use of a prize. 14. We reserve the right to vary, postpone, suspend, or cancel the competition and any prizes, or any aspect thereof, without notice at any time, for any reason which we deem necessary. In the event of such variation, postponement, suspension or cancellation, you agree to waive any rights, interests and expectations that you may have in terms of this competition and acknowledge that you will have no recourse against us. 15. You agree that your participation in the competition, and your acceptance and/or use of a prize, or any aspect thereof, is at your own risk. 16. We will not be responsible, and disclaim all liability, for any loss, liability, injury, expense or damage (whether direct, indirect, incidental, punitive or consequential) of any nature, whether arising from negligence or any other cause, which is suffered by your participation in the competition or the acceptance and/or use by you, or your partner (if applicable), of any prize, or by any action taken by us in accordance with the terms and conditions. 17. These terms and conditions will be construed, interpreted and enforced in accordance with the laws of contract and dispute resolution in the Republic of South Africa. 18. AccommoDirect.com’s decision on any matter concerning the competition and/or arising out of these terms and conditions is final and binding on you, and no correspondence will be entered into.